I have had a number of people contact me asking about the color on this mare, currently with the Another Chance 4 Horses rescue. I apologize to those easily upset, since these are photos of a horse in obvious need of a more caring owner. 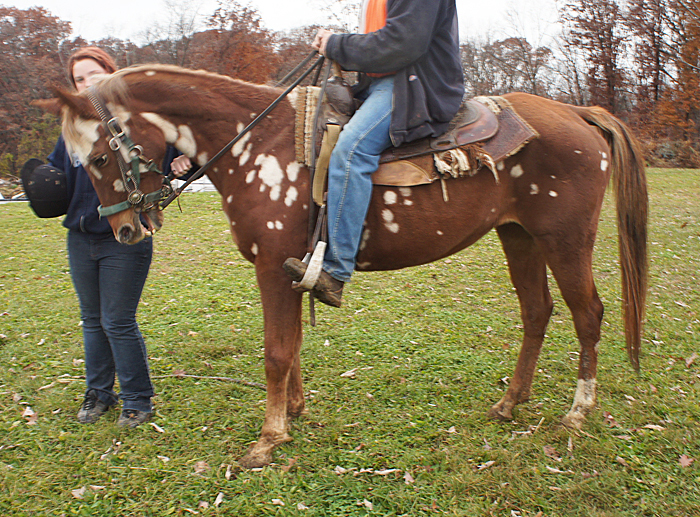 I do want to talk about her coloring, though, because horses like this are often misidentified. I’d love to see her find a good home with someone who would feed her properly, but I also think that all animals are more likely to find permanent homes when the people around them understand what they are – and what they are not. 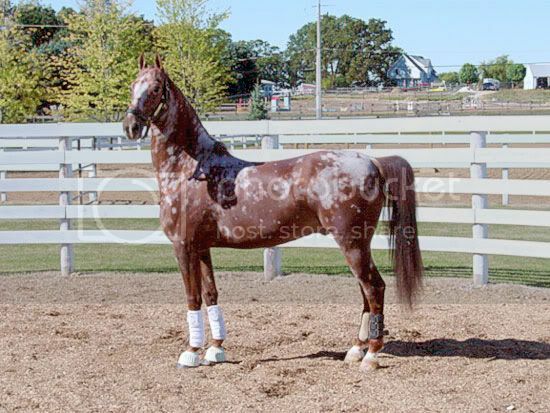 Horses with this kind of coloring have occurred in the past, and in the case with the most concrete information, it was believed to be the result of a fungal infection. That was the WC Saddlebred Simply Striking. Here is a picture of Simply Striking as he was before the condition. 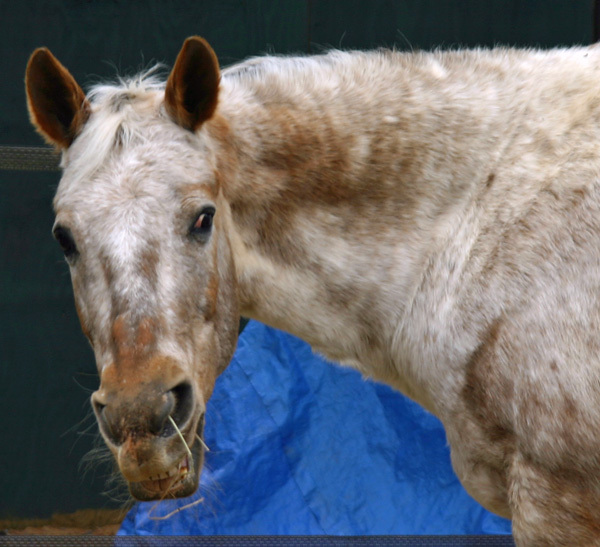 Here is one from after the infection, where he shows a strong resemblance to the rescue mare. In later photos, the white areas are far less distinct, which suggests that some of the hairs later come back dark again. The discolored areas also appear to have spread, though whatever has been used to treat the infection might play a part in that, too. 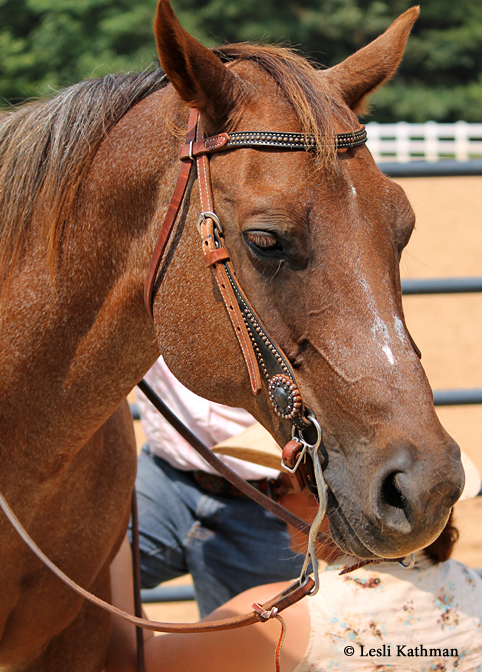 If infection is part of this type of color, that is important to know because that would place horses like this mare into the same category as horses with somatic mutations. That is, they are “cool colored horses that didn’t come from cool colors and will not themselves produce cool colors.” This is important because historically horses of unexpected colors were hidden, so as not to reflect poorly on the breeding programs that produced them. In some cases, perfectly good horses were culled from breeding just for producing a horse of questionable coloring. The tables have turned somewhat in recent years, so that horses are now more desirable (at least to some) for their unusual colors. That puts horses like this mare at risk for ending up homeless again, since someone looking to recreate the pattern is likely destined for disappointment. The other problem is when the pattern is mistaken for something else. 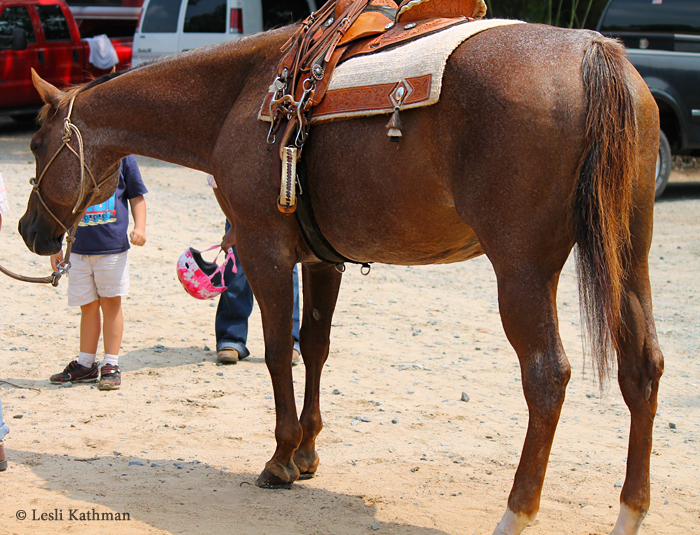 It seems most often horses like this end up misidentified as appaloosas. 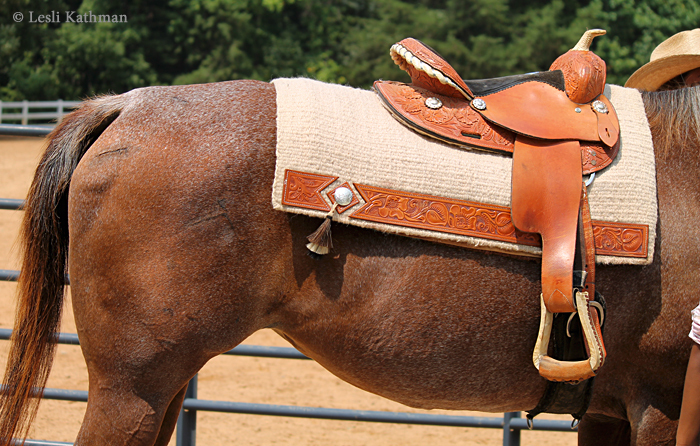 Here is a purebred Thoroughbred mare, Pelouse’s Queen, with a similar pattern. 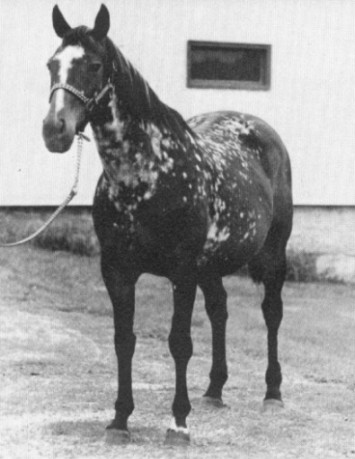 The mare pictured at the top was listed as a “pintaloosa”. In all likelihood, she doesn’t have either a pinto or an appaloosa pattern and would probably breed like an ordinary chestnut mare. Like horses with somatic mutations, she truly is unique. Hopefully she will find a home with someone who appreciates her. I apologize for the silence on the blog, as well as the delays in my responses to those of you who have sent me emails. My desktop computer has had some hardware issues that have made it unstable for a while now, and the other night it finally gave up the ghost. Nothing significant was lost – I certainly had plenty of warnings that backups would be required! – but I did decide that it was time to switch platforms. It will take me a little while to get everything set up on the new system, so it might remain quiet here for a few more days. I have high hopes that this switch will allow me to finally get the first book out the door. At close to 400 pages and filled with hundreds of photos, illustrations and charts, it has been a strain for my old computer to manage. I have been losing a depressing amount of time battling computer problems, but I have been stubborn about changing midstream. Too bad I had never seen a Magic Trackpad before, or I might have gotten over my stubbornness a lot sooner! It has been exciting to see that the recent paper on horse color and cave art has gotten a lot of attention in the mainstream press. It is great to see scientists like Rebecca Bellone, the lead researcher from The Appaloosa Project, recognized for their work. I also love the idea that an area of study traditionally connected with agricultural and veterinary science could be used to better understand seemingly unrelated fields of archeology and art history. 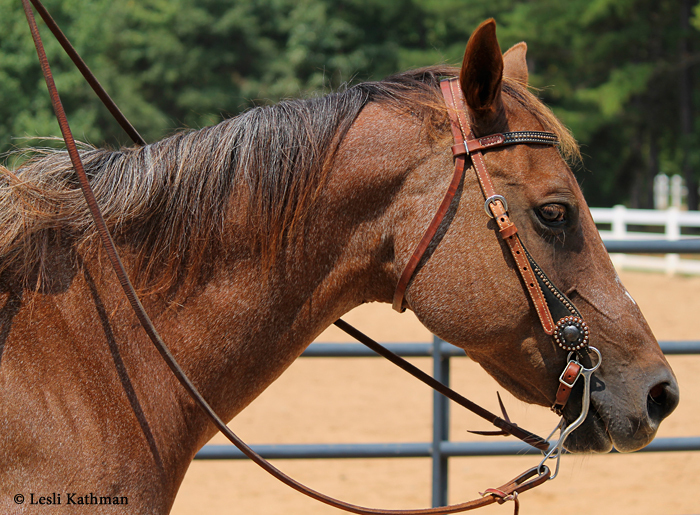 It makes sense that in understanding the horse, whose history is so intertwined with our own, we gain insight into ourselves. That is the larger picture. From the smaller picture that is the focus of this blog, the study offers some big surprises. Those tests determined that all but the frame gene were present among the early domesticated horses. That is certainly in keeping with the theory that frame is a New World mutation. It also showed that in the wild populations – horses living somewhere between 15,000 and 3,100 BC and predating domestication – the only mutation was black. Black horses were found among the wild populations in Romania, Ukraine and the Iberian Peninsula. The other populations, which included remains from Siberia and Germany, were entirely bay. 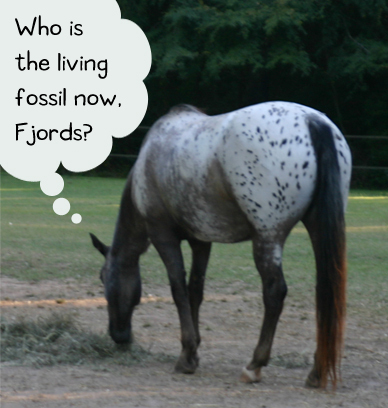 The two patterning genes, Tobiano and Sabino1, were found in remains of domesticated horses. That is in keeping with the idea that spotting mutations are linked to selection for tameness. The Russian Farm Fox study is often cited as a good example of this, but most people familiar with newly introduced “pocket pet” species have seen this in action. It usually doesn’t take long after a species becomes popularized before spotting patterns begin to appear. 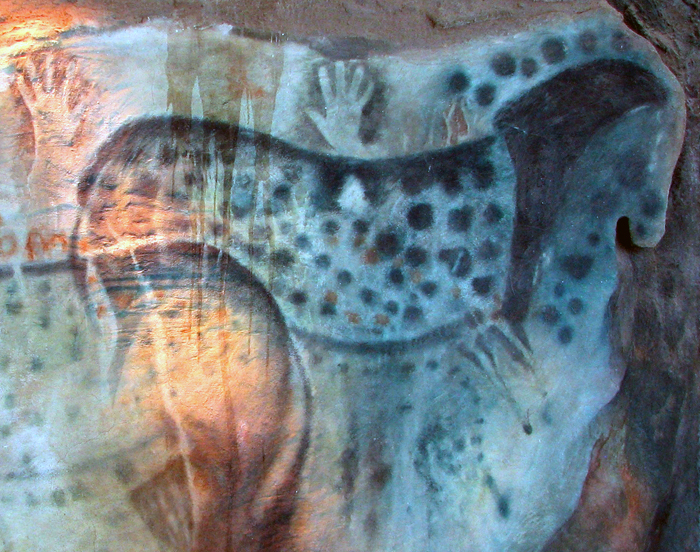 What makes the cave painting study so fascinating is that the appaloosa patterning gene was found in a wild population. And it wasn’t just one horse. Of the thirty-one samples, six were carrying the mutation for leopard complex (Lp). Were someone to assemble a random sampling of modern domestic horses, it would be unusual to say the least to find that kind of ratio of appaloosas to non-appaloosas. Also interesting is the fact that while there were six leopard complex horses, there were no chestnuts. 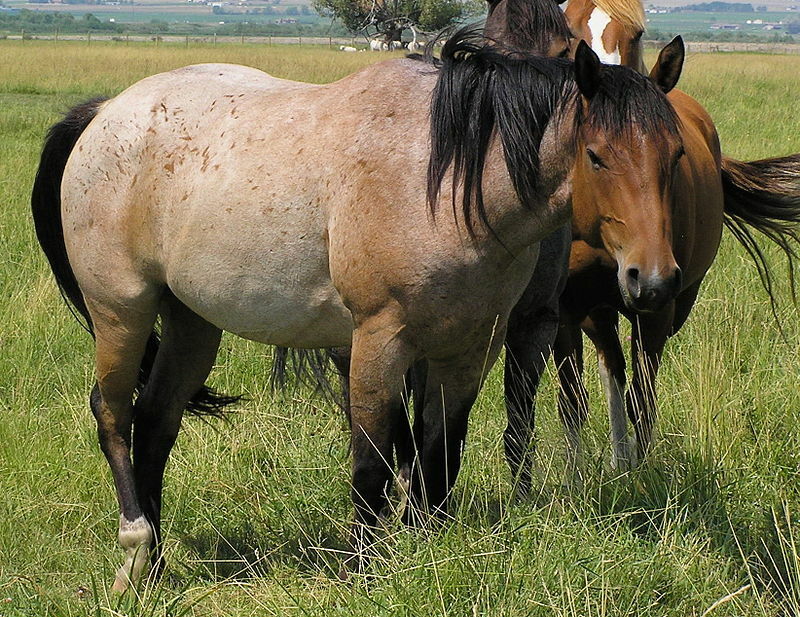 Chestnut is found in the Przewalski Horses, where it has been documented as far back as the early twentieth century in skins taken in Mongolia. In the cave art study, there was a single Romanian sample that tested as carrying chestnut, so the mutation did exist at least in that population. It would seem to be rare compared to leopard complex, and not nearly as old. The German samples with leopard complex date between 15,000 and 11,000 BC, whereas the Romanian with the chestnut allele is 4,300 BC. This is interesting when one considers how in many primitive European pony breeds, chestnut is non-existent, or when found is considered proof of foreign influence. 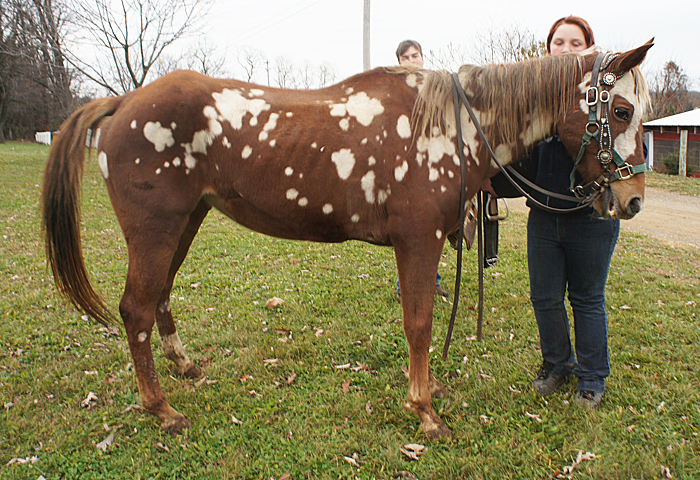 It also gives a certain level of credibility to claims made by both Gypsy Cob and British Spotted Pony breeders that appaloosa coloring was once part of the native population. It is also interesting that this mutation occurred in a wild population, and was obviously perpetuated, despite the fact that homozygous leopard complex horses have a defect. They are blind in low-light situations, which should act as a negative selection factor. 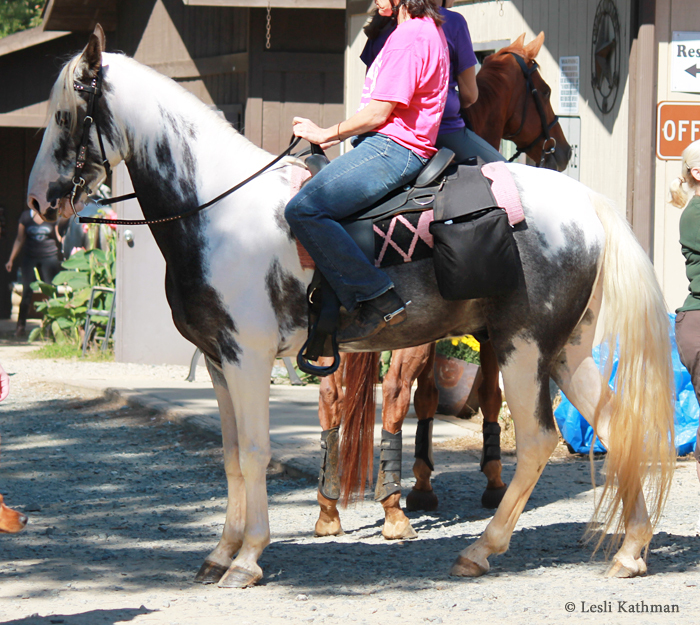 None of the horses tested as homozygous for leopard complex. As exciting as the results of the study are, some limitations have to be remembered. Probably the most important is that this was a really small sample set. Getting usable genetic material from ancient remains is difficult, which is why there are only 31 samples. Broken down by time frame and geographic location, you end up with even smaller groups. These tests can certainly confirm that a mutation was present, but it is hard to draw any firm conclusions about the whole of the ancient horse population based on so few animals. We also only have a partial picture, because we only have a partial set of color tests. The previous study, done in 2009, used some of those same samples. Without the leopard complex test, which was not yet developed then, we only knew that the wild horses were bay or black. With the new test, we now know that, yes, they were bay and black – and some where varnish roans (leopard complex). We don’t yet know if they had the patterning genes that turn leopard complex into true leopard patterns, though certainly the cave paintings would suggest that this was so. Likewise, we assume that the original horses were dun, since that coloration is associated with wild equines, including the last remaining wild horse. A completely reliable test for dun is not yet available, so that part of the picture is incomplete as well. 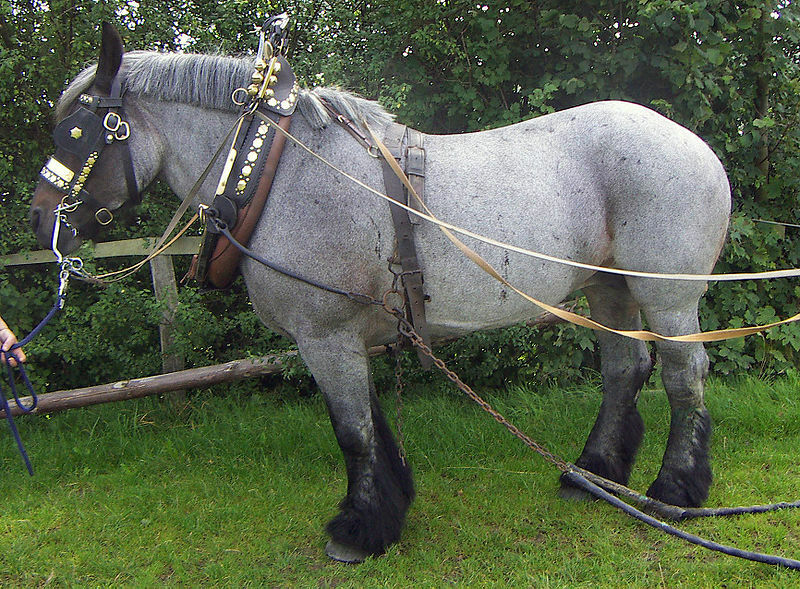 Those bays and blacks, now known to in some cases be bay or black varnish roans, may later prove to be dun and grulla varnish roans – or not! We know they were not silver or cream, since those can be and were tested. 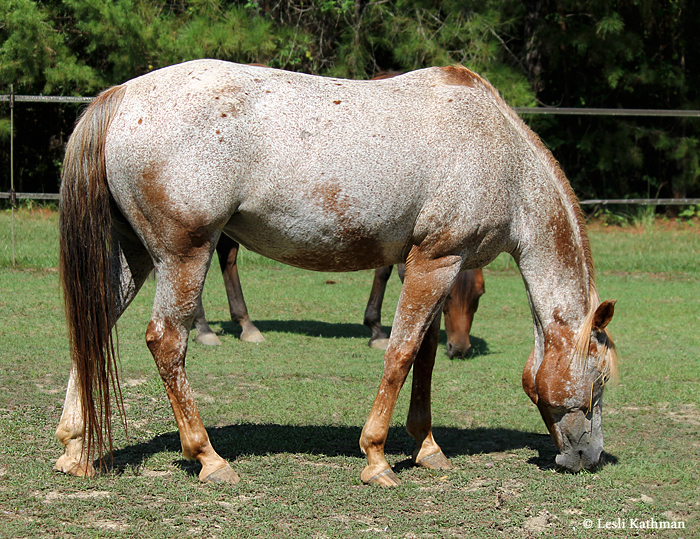 But as new color tests are developed, we may later learn that some of those horses were also roan or grey or splash. It may be that varnish roan will eventually lose its place, but for the moment it is the oldest tested pattern. I mentioned in a previous post that both Sabino1 and Tobiano were really old genes. The paper detailing that study was among the most fascinating articles on horse color that I had read in recent years. Now there is a new study out that shows that Leopard Complex, the gene responsible for setting up the various appaloosa patterns, was present far earlier than anyone expected. 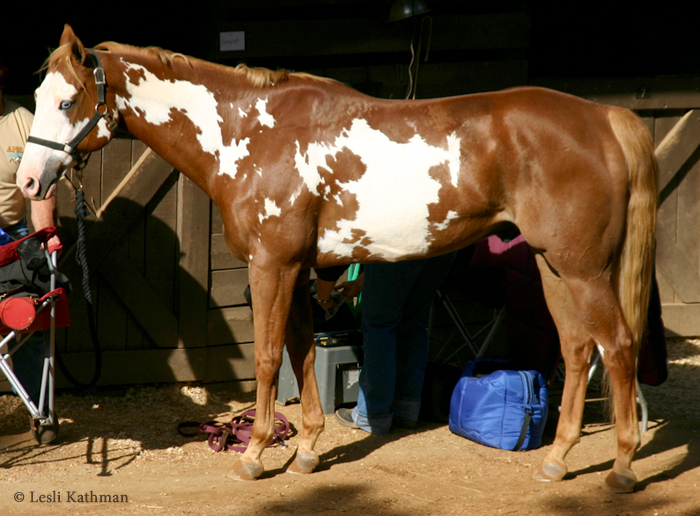 The dappled horses’ spotted coat pattern bears a strong resemblance to a pattern known as ‘leopard’ in modern horses. However, as some researchers believed a spotted coat phenotype unlikely at this time, pre-historians have often argued for more complex explanations, suggesting the spotted pattern was in some way symbolic or abstract. Researchers from the UK, Germany, USA, Spain, Russia and Mexico genotyped and analysed nine coat-colour loci in 31 pre-domestic horses dating back as far as 35,000 years ago from Siberia, Eastern and Western Europe and the Iberian Peninsula. This involved analysing bones and teeth specimens from 15 locations. They found that four Pleistocene and two Copper Age samples from Western and Eastern Europe shared a gene associated with leopard spotting, providing the first evidence that spotted horses existed at this time. As more and more tests become available for the different colors, it will be interesting to learn just how old some of them are.